ALL YOU NEED TO KNOW ABOUT STINGRAYS! To wriggle and giggle is great when you’re small, it brings water confidence and fun for all. Little Rays love to learn how to move, push and glide with our Chief Stingers close by their side. They’ll soon want to be free, swimming on their own, to fly through the water to ventures unknown. Stingrays has over 1000 swimmers and runs 7 days a week. We boast the best lessons and best teachers in the area! Thinking about starting your Stingrays Journey but don’t know how to go about it? First check out the information below and if you like the look of it, contact us and get booked into complementary taster session. Taster sessions are 15 minutes long and give both you and your little one the opportunity to check out the facilities, meet the Chief Stingrays (teachers) and see our teaching style before you make any decisions. It’ll also give our Chief Stingrays the chance to check you’re booking your little one onto the correct stage. Otherwise known as the Adult and Child programme, the Mini Mantas sessions are the first steps in the Stingray journey. Our Pre-School programme is also called our Little Rays programme. All Stingray lessons are based on the ethos of learn though play but this programme more than others. School age children are ready for our main programme, the “Stingray” programme. This follows 7 stages as developed by ‘Sport England’. Also known as the Adult and Child programme, the Mini Mantas sessions are the first steps in the Stingray journey. Stingrays in the Mini Mantas programme can start from as early as nine weeks, although the NHS does say babies can come in the water earlier. It’s advised that when mum has had a C section she should wait until after her six week postnatal check. 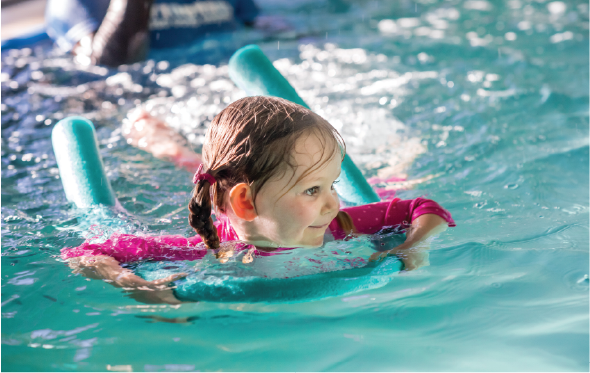 In this time, they gain water confidence and develop the water safety skills that will become invaluable to them in later life. 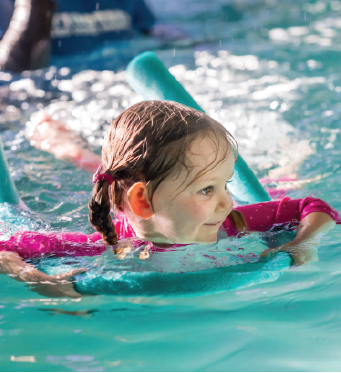 Lessons include teaching breath control, drowning prevention skills, building confidence to achieving independence, develop buoyancy, movement, coordination, strength and stamina and motor skills in a fun environment. The Mini Mantas programme has been developed by our adult and child specialist Anna. Anna is a qualified nursery nurse and has ensured that the programme is best built around feed and nap times. Also, that any skills developed are done so in correlation with the child’s age and stage of development. As the name would suggest anyone who is booked into an adult and child lesson will need to accompany the child to that lesson and get into the water. Classes run on Monday, Wednesday, Thursday, Friday and Saturday, starting at 10:30am running in half hour increments. Our Pre-School programme is also called our Little Rays programme. All Stingray lessons are based on the ethos of learn though play but this programme more than others. Little Rays classes are half an hour long, and since preschoolers can attend lessons during the day this programme is run both in the morning and evening. With lessons running 7 days a week, 4pm until 7pm in the week and 9am-12pm on weekends there is lots of choice for Stingrays to plan their lessons around their social life. After completing the ‘Learn to Swim’ programme swimmers are encouraged to choose a swimming principal to pursue. 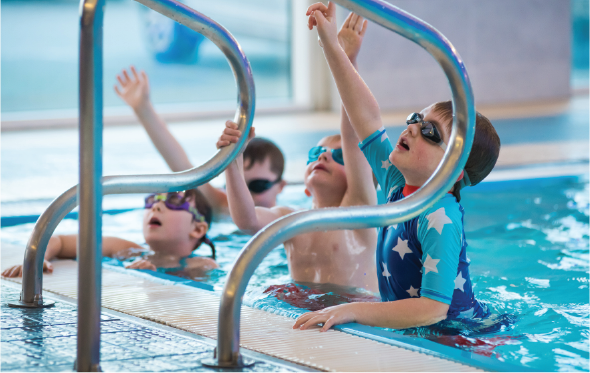 Here are Stingrays Swim School we offer both Swim Squad and Nippers lifesaving; both are great ways to use skills gained throughout their time with Stringrays! A specialized class that allows competent swimmers (Stage 5+) a pathway to extend their interest and enjoyment in swimming. It is an introduction to competitive sport, teaching children the importance of warm up and cool down as well as starting to implement the competitive principals. 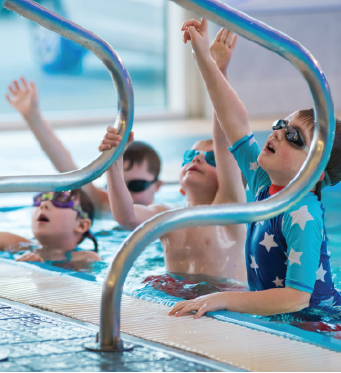 This class is the perfect way to continue to enjoy swimming after completing the ‘Learn to Swim’ programme. Aimed at children ages 5 – 15 this is a fun and inclusive way of learning how to be safe around water. Sessions include; water awareness, self-rescue, shout, throw, reach rescues, and Lifesaving Sport, all delivered by our local search and rescue team LASAR. 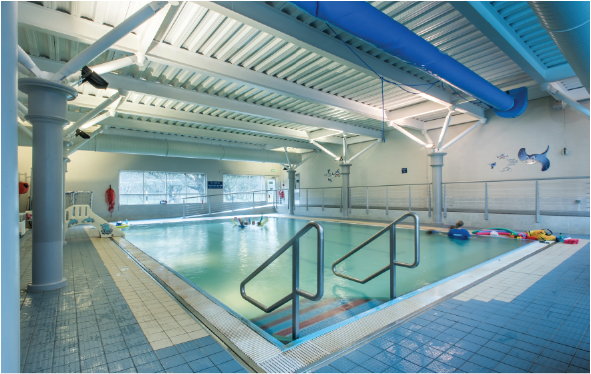 Stingrays boast the best facilities in the area with both a warm stingray lagoon for our littler swimmers and a 25m lane swimming pool for those who are a little further along their journey. ‘Did you know you can check your child’s progress online? 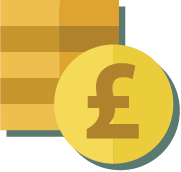 Log into CoursePro and view your child’s badge record, class stats and payment information. You’ll also be able to top-up your account and move classes all from the comfort of your own home 24/7 because we know your always on the go. 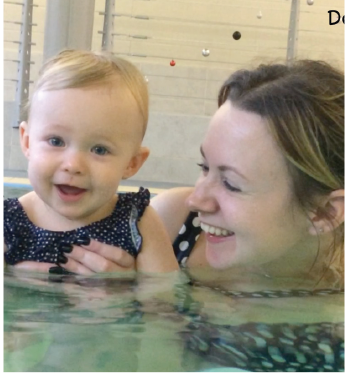 Drop in splash sessions are £5 for the adult, children go free and an additional £2.50 for each extra adult. 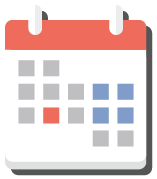 Our Adult and Child specialist Anna is on hand to advise during these rst initial steps but since it’s ‘drop in’ you’re not committed to attending, just turn up when you feel like it. Stay and Play (before/ after lessons) and make the most of your time here. If you’ve already travelled here for a half hour lesson, why not stay and play afterwards and use that time to practice the skills learned in lessons. Sessions are £5 for the adult, children go free. 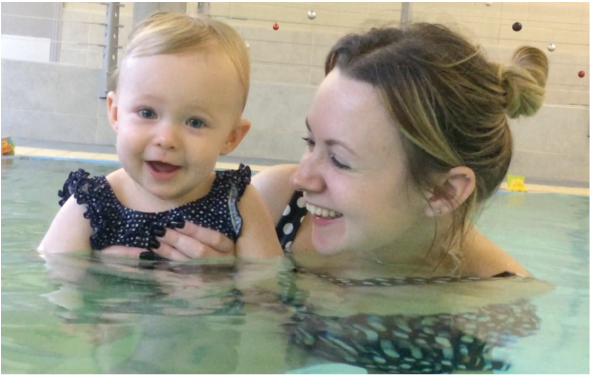 All the family is welcome to come and swim between 3pm-7pm Saturdays and 2pm-7pm Sundays. As a Swim School we care about our swimmers and want our Stingrays to be the most con dent and successful little swimmers they can be. Additional swimming outside of lessons can only help with this. We nd that children who practice outside of lessons tend to progress much faster too. It’s great family time. Our Stingray pool has warmer waters great for those younger family members and is deck level (all the same depth) so even if you’re not as fearless as your little ones you can still come and join the fun. new! 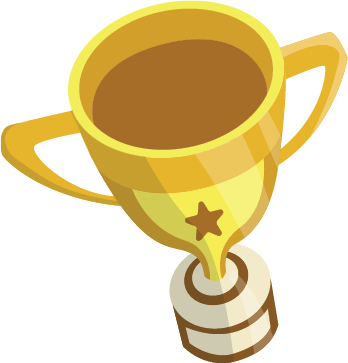 There is a comprehensive log on each swimmers CoursePro detailing which badges they currently have. 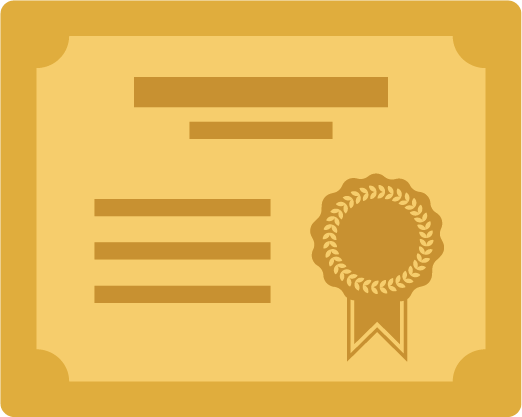 Teachers will either award a badge when they think it’s appropriate or CoursePro will automatically do so if the teacher ‘checks’ the right competencies i.e. Henry can swim 5m on his back. —> Henry gets his 5m award! Badges are £5 for a Badge and Certificate and these can be collected from Front of house. And if you ever want to know more about badge criteria, you can check them all out at the Sport England website.